Celebrating our 43rd anniversary, PCAVT has been working effectively to prevent child abuse and neglect through parent education, support and public awareness. Prevent Child Abuse Vermont promotes and supports healthy relationships within families, schools and communities to eliminate child abuse. End the generational cycle of abuse. Train all who interact with children on proven methods to prevent child abuse and neglect. Empower children to be heard. 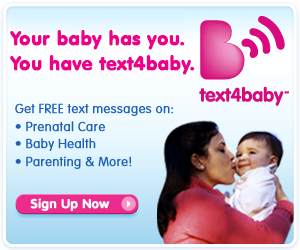 Prevent Child Abuse Vermont has partnered with Text4Baby, the largest mobile health initiative in the nation, to provide critical information to pregnant women and mothers with infants under age one, along with their partners and loved ones. Text4Baby uses the power of cell phone technology to help new mothers and expectant women keep themselves and their babies healthy. Around 89 percent of young women carry their smart phones at all times, so Text4Baby delivers the information moms and expecting women need most through free text messages and an app. Click on the App above to get started! Bully No More! is a musical show written by Vermont author Elaine Davida Sklar. Book and Lyrics by Elaine Davida Sklar with music composed by Jon Gailmor and Elaine Davida Sklar with Danielle Davis. The show offers a great way for schools and other youth serving organizations and theaters a creative way to address bullying and to also bring awareness to the broader community. Prevent Child Abuse Vermont edited the script early on and has become involved in promoting it in Vermont and nationally. The authors and the licensing company, Tams Witmark, has designated a portion of the proceeds from all licensing fees and profits to Prevent Child Abuse Vermont. With colorful animal characters and lively songs the show empowers and inspires its audience to look out for one another, treat each other with kindness and respect and “Hold On To Hope”, in an imperfect world. Click here for more information. To order the Bully No More Discussion Guide click here.